*Session 4 & 6 Horse Adventure is full, to be placed on a waiting list please contact our registrar at 618-695-2489 ext. 109. Since 1991, our long-standing Adventure Camp favorite! 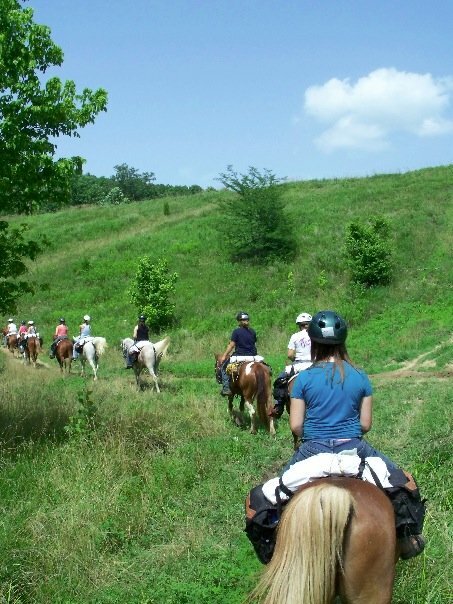 Exploring the scenic backcountry trails of the Shawnee National Forest offers the perfect opportunity to expand horsemanship skills and develop outdoor skills. Campers will receive instruction and supervision from CHA Certified Instructors throughout their trip. Evenings are spent taking care of the horses, setting up the campsite, cooking meals, and relaxing around the campfire. Backcountry Camping. Read the Horse Adventure Itinerary to see what you’ll be doing.